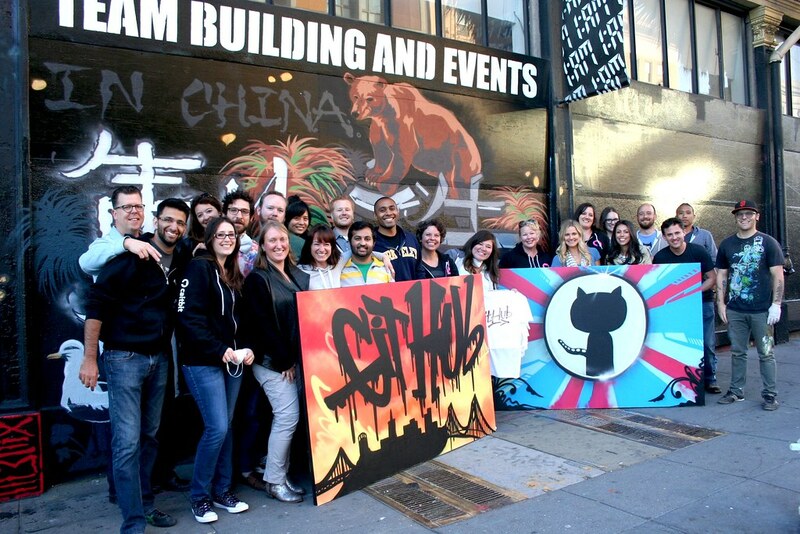 GitHub visited for an exciting graffiti offsite! 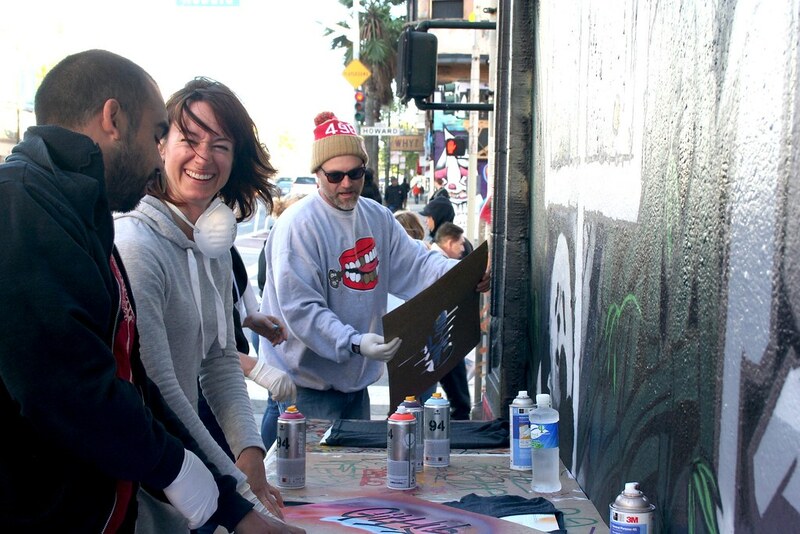 Home/Classes, Community, Mural Production, Team Building Workshops/GitHub visited for an exciting graffiti offsite! We met the GitHub team for their Happy Hour team building workshop and they rocked it! They learned about the history of graffiti, created custom T-shirts and made their own take home murals! Make your own custom murals! Email privateevents@1AMSF.com.